IPG and WPP are in the mood for some comfort food. 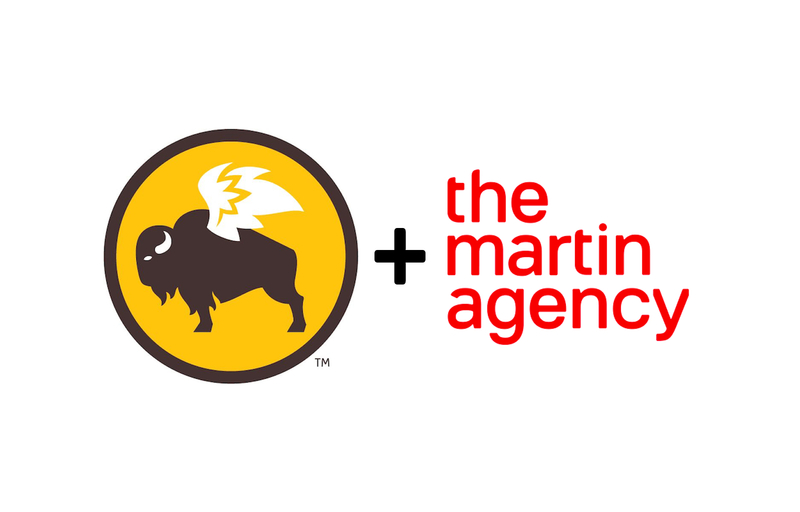 Today Buffalo Wild Wings parent company Inspire Brands announced that it has chosen The Martin Agency as its new creative AOR after a competitive review. There’s even a shared logo to go with the news, which is kind of rare? This is the biggest AOR win of the year to date for Martin, which has scored assignments from brands like Kohl’s and also picked up the Wizards of the Coast business back in August. The reason for the review? Inspire (which owns Arby’s and Sonic) acquired BWW in February, and Seth Freeman, who had led marketing for Holiday Inn and Holiday Inn Express, came aboard as CMO in August. Now, he wants to relaunch the brand famous for sugar, beer and live sports. “The Martin Agency demonstrated the best ability to think holistically in delivering creative ideas across traditional advertising and new media platforms that will help drive our business forward,” he said in the release. AdAge also reports that TBWA and Figilulo & Partners, which produced recent campaigns for the brand, were in the review and that Mindshare won the media business away from Horizon. Inspire has gone to work turning BWW around over the past 9 months, but its efforts failed to prevent a $1.8 million net loss for the last quarter driven by a 5.2 percent drop in same store sales from the previous year. The first campaign from Martin is expected to launch late in the first quarter of 2019. Next Taco Bell’s Crunch Wrapping Paper & more…weird branded merchandise for your 2018 holiday gift guide.